Face off against the galaxy’s most charming psychopathic dictator and slash hand-crafted beats to a pulse-pumping soundtrack in our newest PS VR bundle. 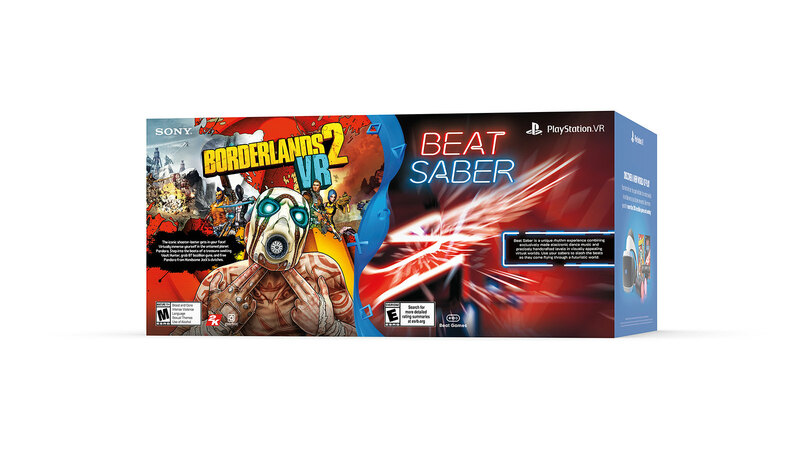 Today, we’re excited to announce the new PlayStation VR Borderlands 2 VR and Beat Saber Bundle that will give you access to two action-packed VR games. Borderlands 2 VR is the latest blockbuster experience to come to the immersive platform, bringing the iconic shooting-looting world of Pandora to life like never before. Virtually become a treasure-seeking Vault Hunter facing off against the galaxy’s most charming psychopathic dictator — Handsome Jack — with nothing but your wits and your arsenal of 87 bazillion guns. Let us know which games you’re excited to play in the comments below! Looking forward to trying out Beat Saber. Not sure if I will be getting Borderlands 2 VR, but I will look for its reviews. Is there a way to teleport within astrobot rescue mission? Whenever I move the camera in the demo I feel motion sick, preventing me from purchasing the game. StrifeFan: there is no teleport option, unfortunately. I had a friend come over and try the game, and felt the same way you did when the game would move forward on it’s own. The disconnect was uncomfortable on him. He kept trying the game, though, on another day, and ended up getting the VR pack with Astro Bot. Maybe it can be overcome once you get used to it? Please tell me you can turn off teleporting in Borderlands VR :(. Yep. There are 2 options, teleport and standard movement using ds4. I feel for people who get sick playing VR, but crippled VR makes the rest of us sick. Click-turning, teleporting, and shrinking FOV destroy the immersion of VR. Sometimes games really bury all the options for unleashing the full experience—thinking of Doom VFR and Skyrim. Alright, I see you PlayStation. 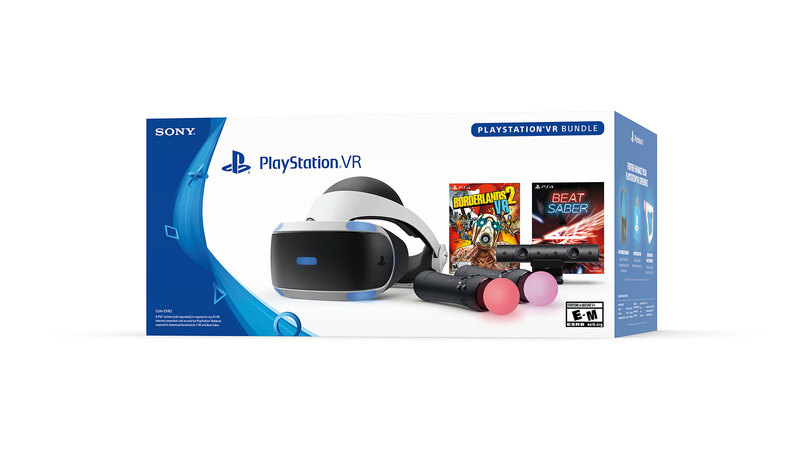 This might set me over the edge to finally pick up a PSVR. I’m sure those games in the other bundles are fine, but this one finally has two games I actually want to play in VR! I wish there was a way to test out the PSVR. I wear glasses and I don’t know if the visor would fit. No game shops in my area have demo units to test out, and I wouldn’t want to buy a headset then discover it won’t fit my glasses. Uesc: i was worried Also, but i just bought it and it Works great with glasses, you can move the screen back and farward So the glasses wont touch the screen. Try it, And in the worst case, sell it second hand for 50$ less. I got mine today. I use glasses and it’s been no problem at all. They fit snugly in with the headset. Another glasses-wearer here, and I don’t have any problems with the headset. One tip though: clean your glasses before you play! Nothing like focusing on a screen a few inches in front of your face to make you realize how filthy your glasses are… or maybe that’s just me? Another glasses tip: Don’t push your VR headset so far forward that the VR lens rubs against the lens of your glasses. You can easily scratch both in doing so. Dear FBI/Sony/Facebook/Google – Please put some time between when I say something and when you do this stuff. It seems like you are trying too hard. Your body will become more used to the forward motion as the more you play. Start with Moss and the smaller does of Free VR games and demos before going full force. Playroom VR is a great place to start. I was exhausted playing VR the first week. After that break in period PSVR can be quite rewarding. This is great. It seems like Sony is really pushing their VR ecosystem now. Beat Saber is reviewing well. Hopefully Borderlands is good enough to justify the VR effort. I jumped back into the PSVR ecosystem, thanks to the great sales last week. Hopefully this level of push will continue. Given the level of excitement surrounding Astrobot, I hope Sony is working on DLC or something similar. We also need a good exclusive RPG. Looking forward to the 2019 lineup. Where’s StarChild??? I love the look of this package, hope it comes out in Australia at a decent price! Will this be available in Australia? The Creed VR bundle never made it here. Does Borderlands 2 VR require the internet to play? I think this is a great bundle for the price.